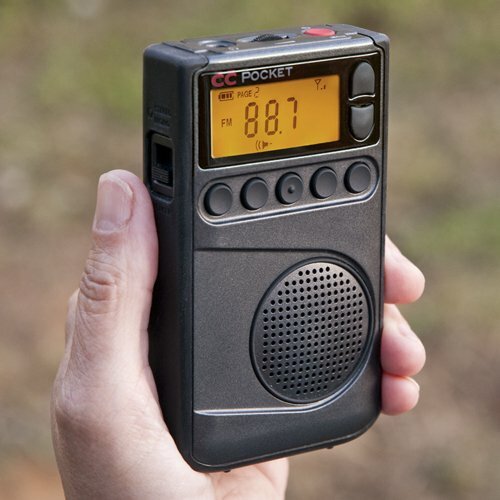 Although this website provides in-depth reports on portable radios past and present, to help you shop here is a quick way to find that perfect radio for yourself or as a gift. 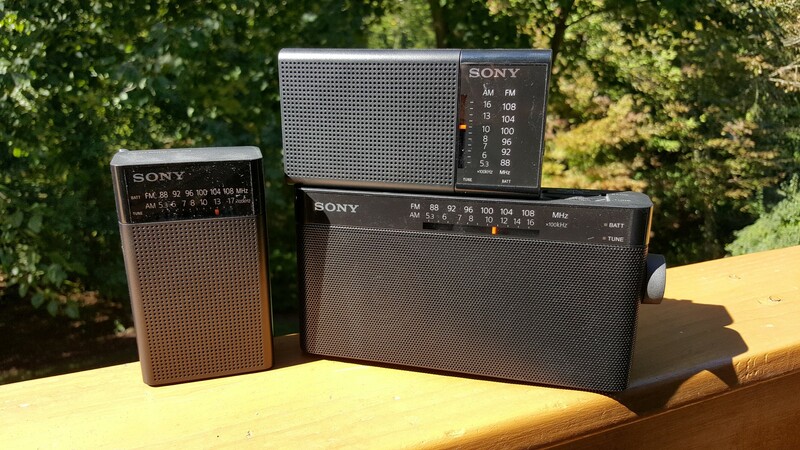 You can always find in-depth information about any of these radios by clicking on the links to their full reports. And if you access Amazon via any of the links provided, anything you purchase during that session will help to support this free website at no cost to you, and you’ll get Amazon’s best price and return privileges. There are many other choices but these are all my personal recommendations and favorites – Happy Shopping! C.Crane CC-2E $169.99 – The best of the best for reception and sound quality – I use mine every day. Also features NOAA Weather and more. 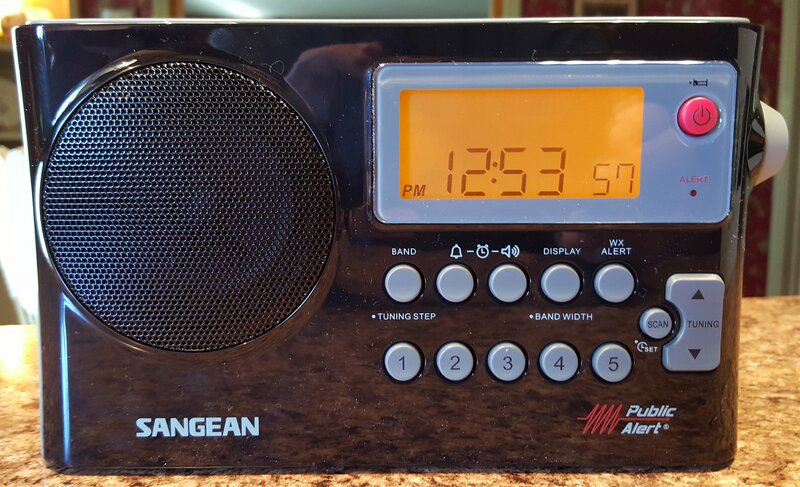 Sangean PR-D4W $58.86 Very Good AM/FM on a budget…a solid radio. Sony ICF-P36 $18.70 Good reception at a ridiculously low price. 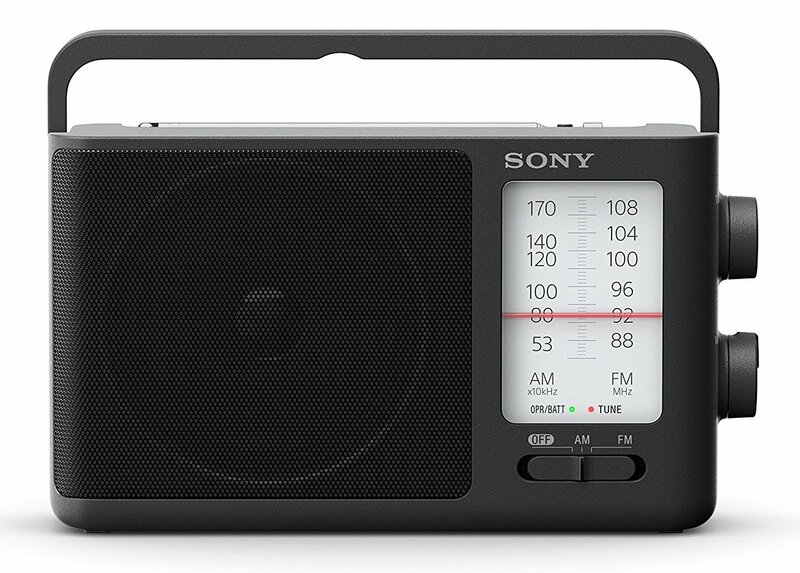 Sony ICF-506 $46.10 – Excellent reception and built-in AC power for all-day use. 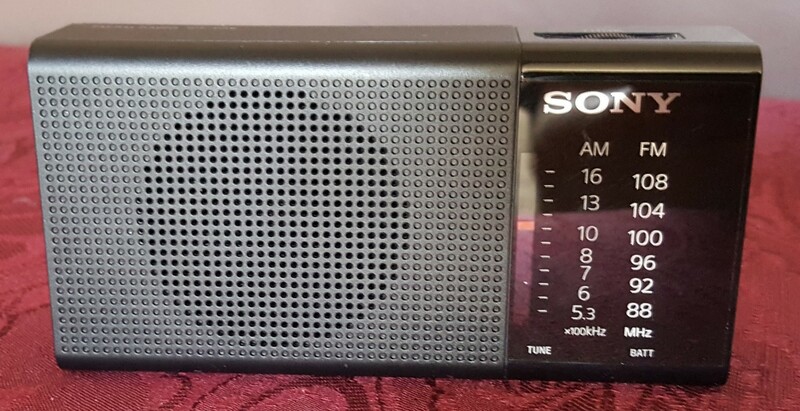 Sony ICF-19 $37.95 – Same radio as above with longer battery life using D cells, but no AC power. 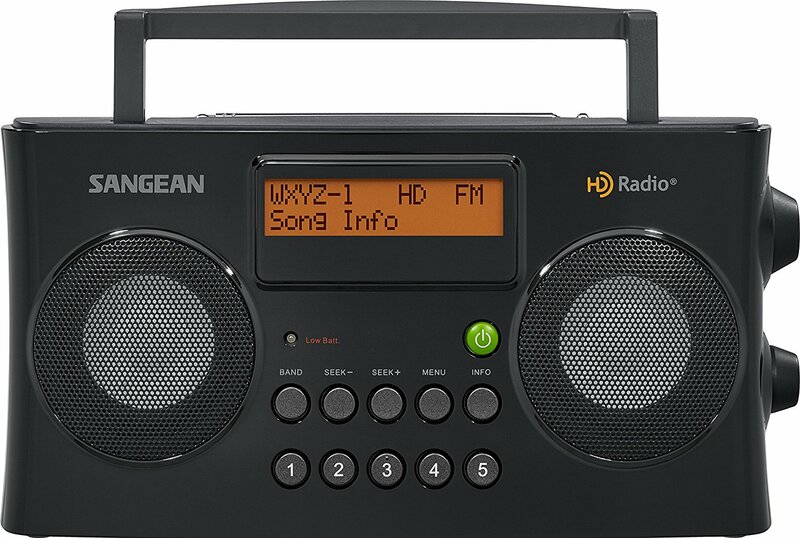 These two radios look pretty much the same other than their handles and perform the same – the only differences are that the ICF-506 has a handle while the ICF-19 has a strap. 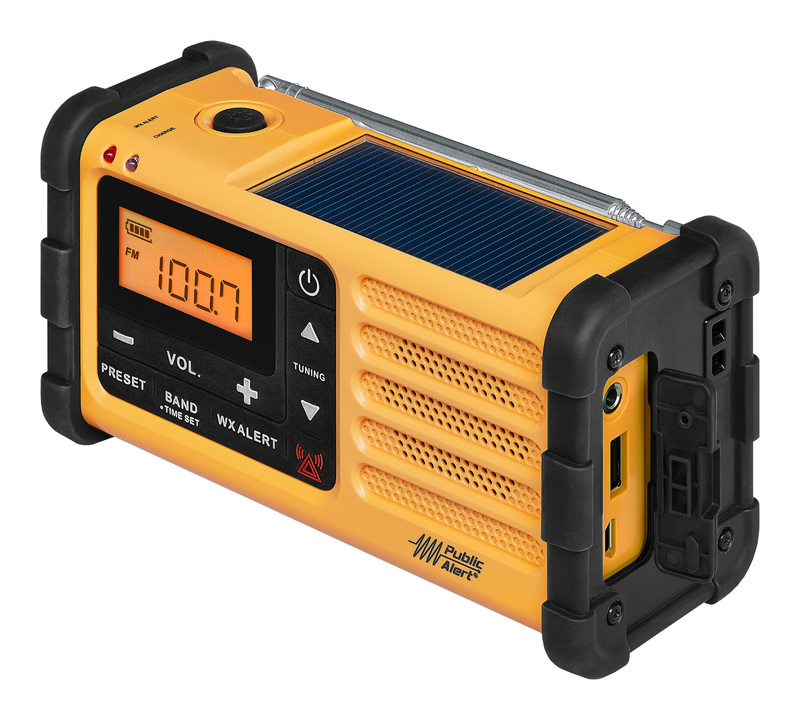 I recommend the ‘506 for its built-in AC power for use all day long, and the 19 for battery use as it uses larger cells and thus has longer battery life. 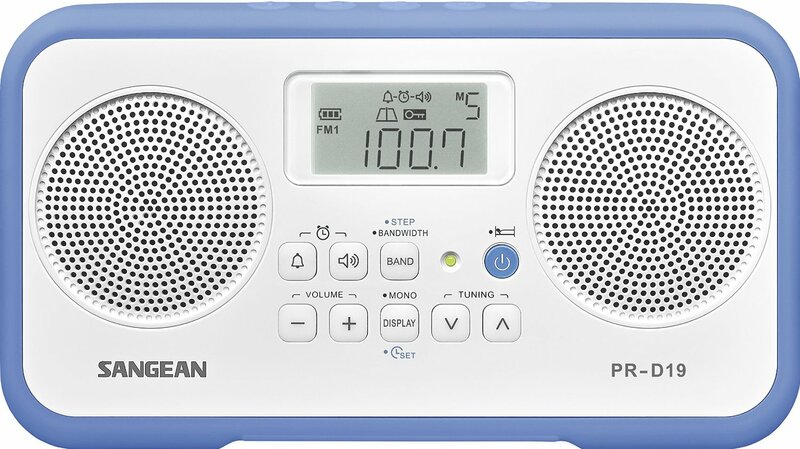 Sangean PR-D19 $57.73 – Small two-speaker stereo model with good reception and nice sound available in many color combinations. 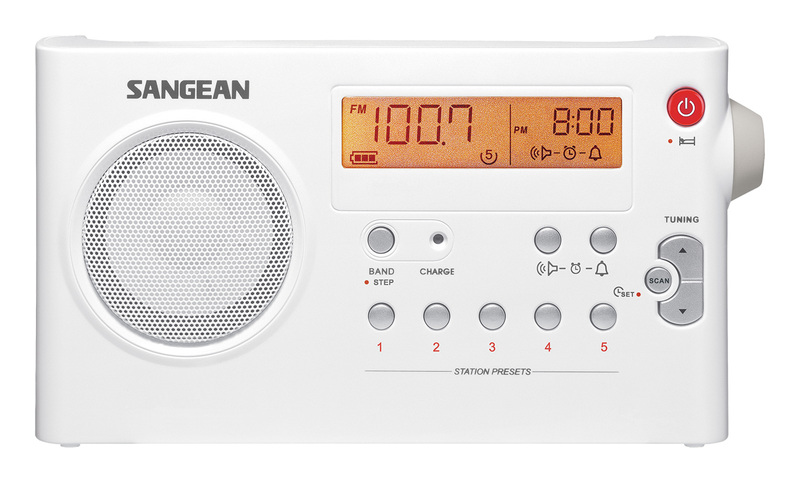 Sangean HDR-16 $95.99 Best Portable HD Radio – Best portable radio with great reception and HD lets you hear all those “hidden FM channels”. 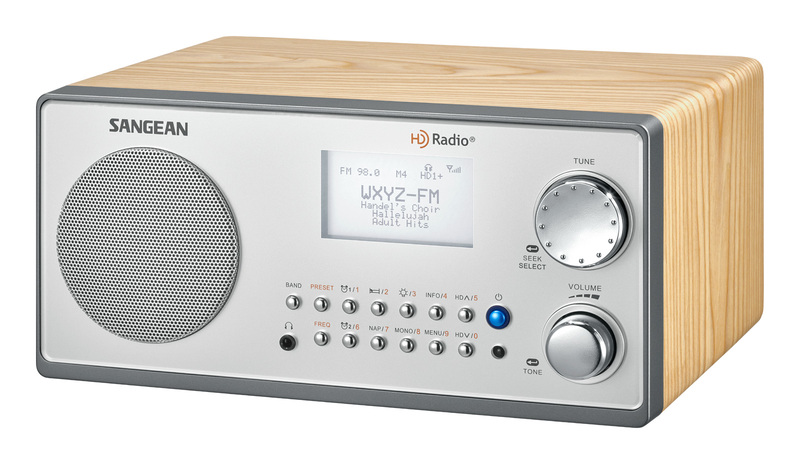 Sangean HDR-18 $158.10 Best Table Radio with HD – Great performance and a remote control in a nice-looking wooden cabinet. 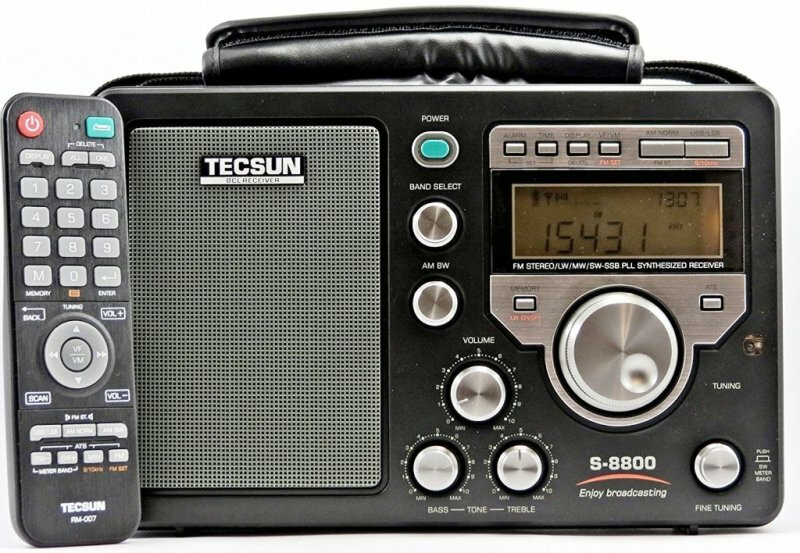 Tecsun S-8800 $268 Plus Shipping from Anon.co.com Very deluxe, lunchbox-sized multi-band radio with remote control and full of features. 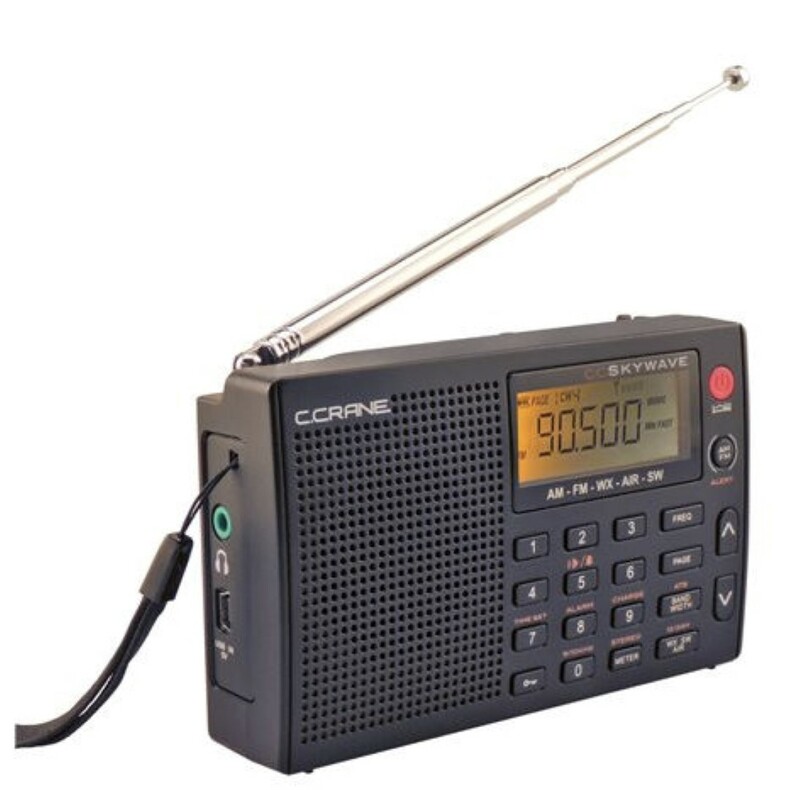 C.Crane Skywave $89.99 – Very compact but with more bands than most radios including AM/FM/SW/Air Band and NOAA Weather. A true traveler’s companion. 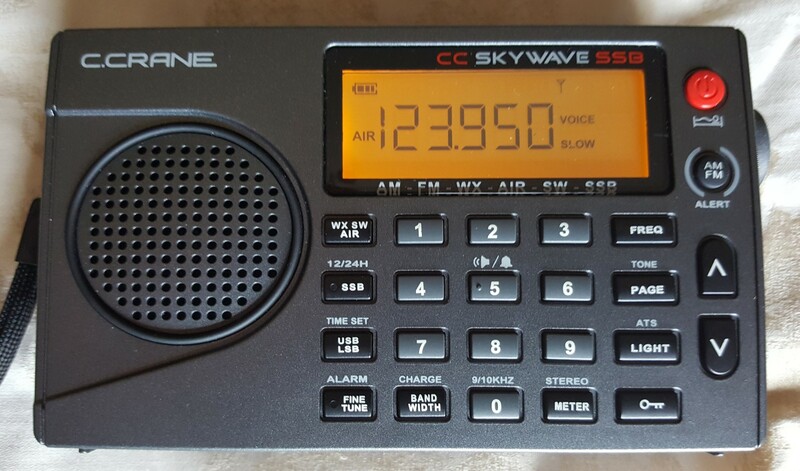 C.Crane Skywave SSB $149.99 – Same as above with addition of SSB – Single Sideband for the true enthusiast lets you listen to HAMS in SSB mode– the Swiss Army Knife of radios. 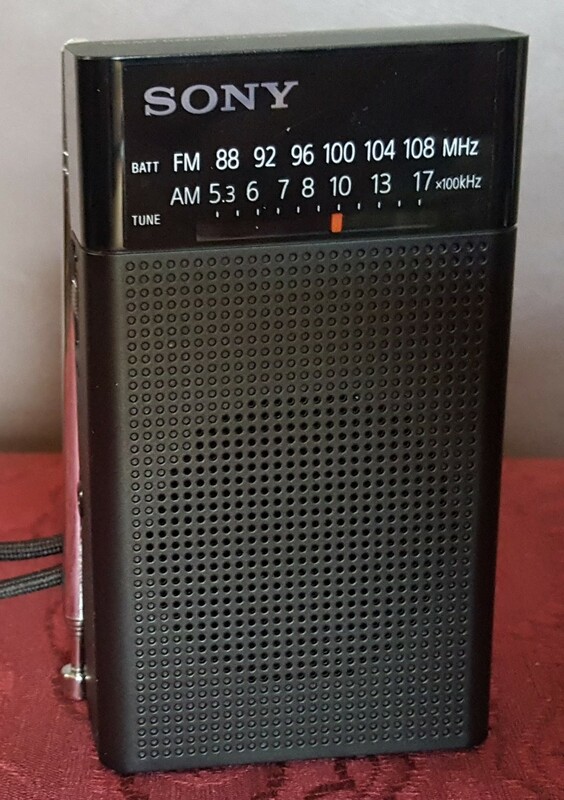 Eton/Grundig Executive Satellit $166.21 My personal favorite in this category because it beats all the others for AM reception. 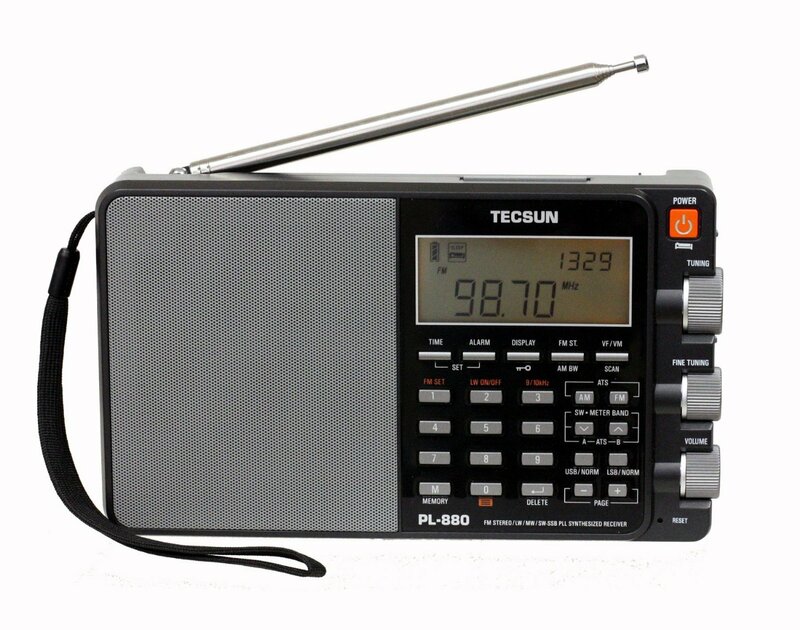 Tecsun PL-880 $159.98 – Best sound in a paperback book-sized portable. 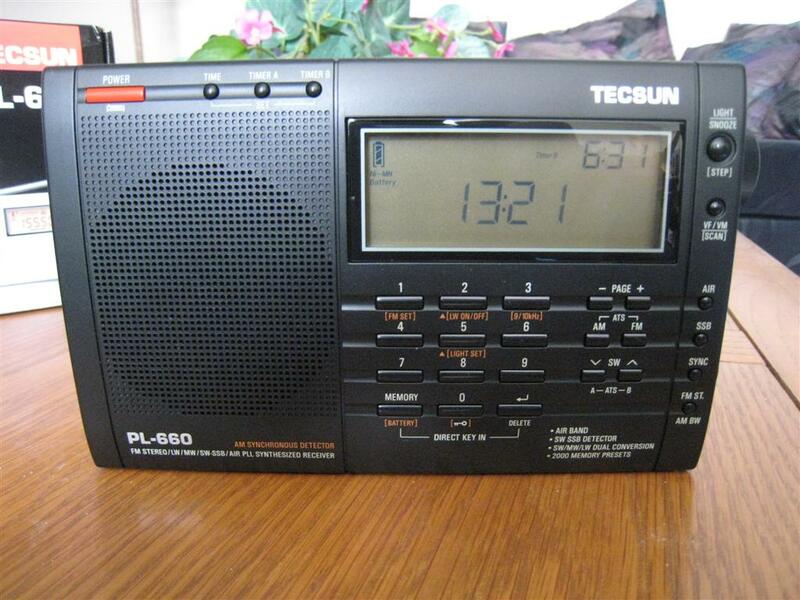 Tecsun PL-660 $128.00 – One of the most popular radios in this category and a bargain at this price. 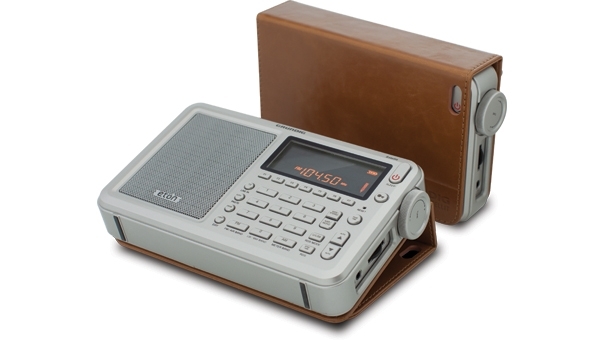 Eton Traveler III $69.99 – Great AM reception, FM RDS plus shortwave. 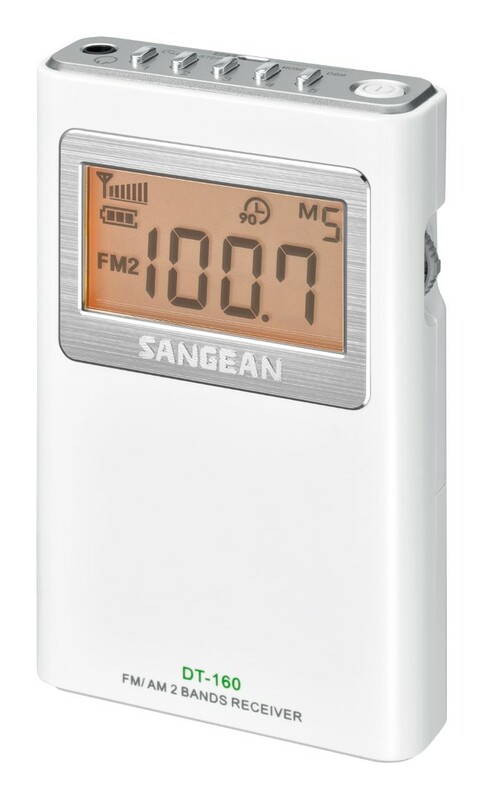 Sangean DT-160 $37.36 Use with earbuds – Excellent FM performance and a real bargain. 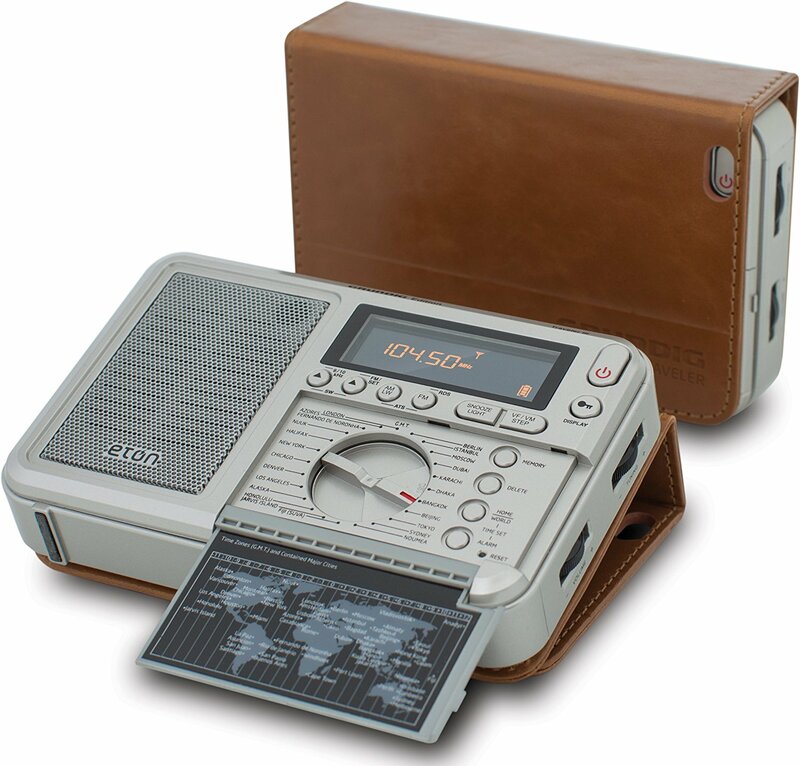 Sony ICF-P26 $18.00 Very inexpensive pocket portable with speaker at a hard-to-beat price. 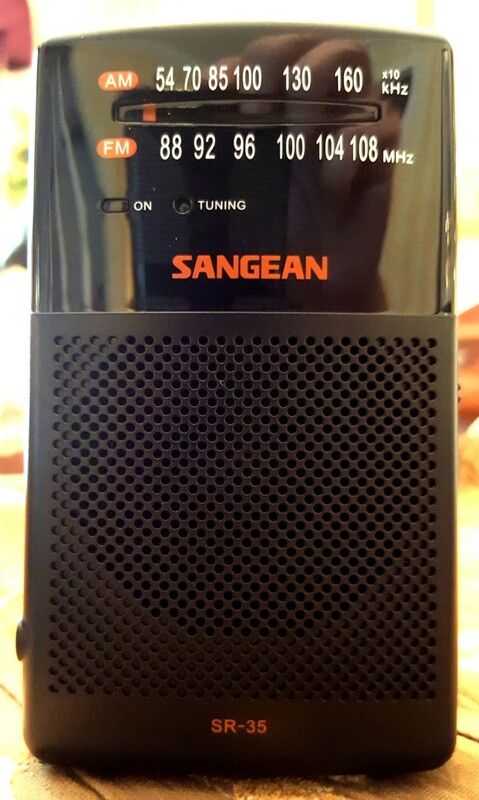 Sangean SR-35 $17.70 Pocket portable with great FM sound thru speaker – kind of amazing actually. 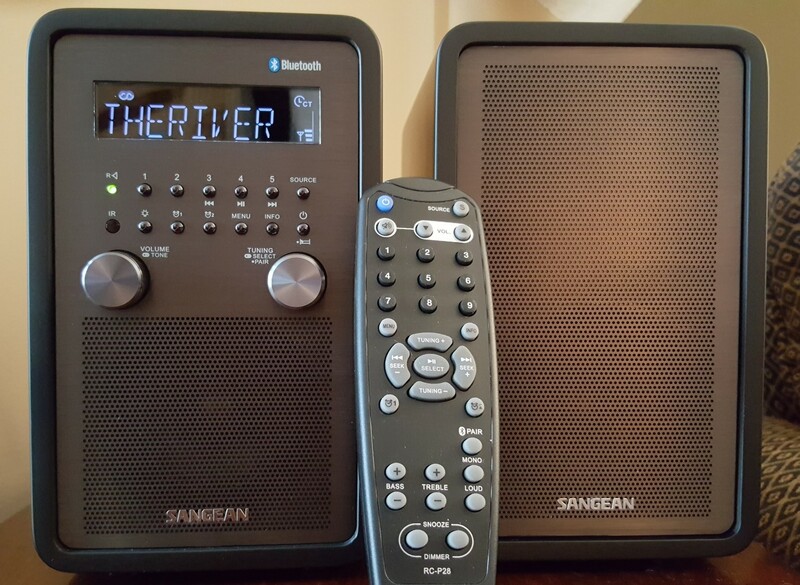 Sangean WR-50/WR-50P $129 (Mono)/$183.83 (Stereo) – One of the best sounding table radios I’ve heard includes Bluetooth and a remote control. Very impressive sound. 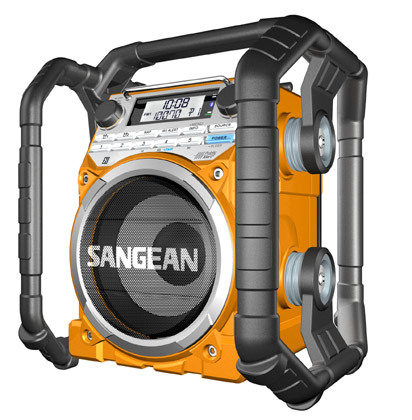 Sangean U4 Rugged Jobsite Radio $172.84 – Versatile power options include built-in AC, external 12 volts or D cells, either regular or rechargeable. A strong player which can fill large or noisy areas and very rugged construction. 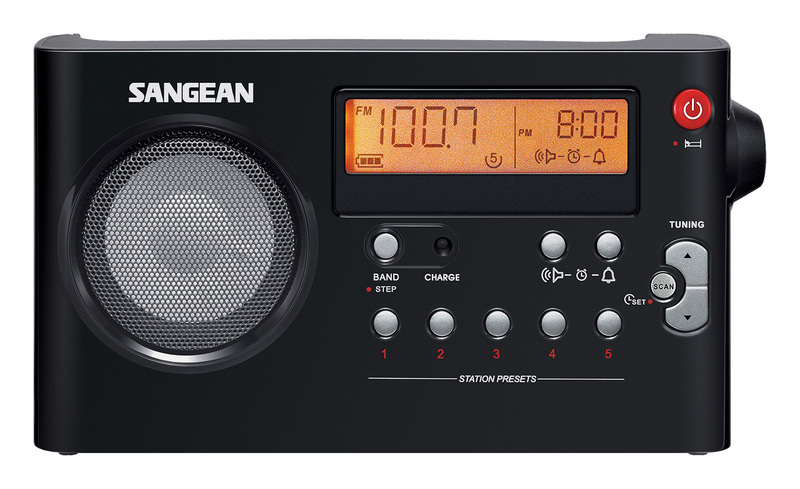 Sangean MMR-88 Emergency Radio $46.78 – Better reception than most and this one has all the most wanted features including solar and crank power and the ability to charge your cell phone in a very cute brick-like shape. 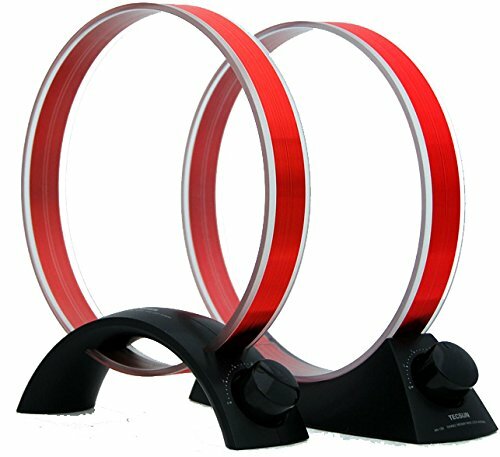 Best Bang-For-The-Buck Antenna for AM Lovers – Tecsun/Grundig/Kaito AN-100/AN-200 Loop Antenna $29.98 – Several versions but all work identically. Can transform a mediocre radio into a sensitivity champ with no connecting wires. Just place it next to the radio and hear those weaker stations pop in! AM loops are staples of serious AM hobbyists and this one is a bargain. 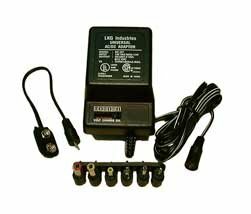 This ultra flexible low noise power supply will power most portable radios needing up to 500 ma (1/2 amp). It comes with six adaptor plugs to fit most radios and a 9 volt snap connector . Output voltage is adjustable and polarity is reversible. Input voltage is 120 VAC 60 Hz and it is UL Listed.